We recently purchased the Popcorn Hour a Media Streamer / Player to connect to our surround system. It is possible to connect Liz’s iPod to it but we wanted the Music on the Hard Drive of the Popcorn Hour so the iPod can be our travel companion. 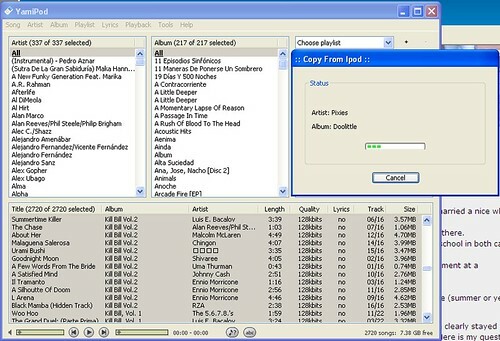 YamiPod recommends to have the utility on the iPod so it is easier to transfer files from and to any Computer easily. hey! thanks for the comment 🙂 yes, i am new to the blogging community, and dont update my blog nearly as much as i read all of the other gringo/chile blogs. i am currently in the us so i guess its not as fun to write now, but hopefully ill get back into when i get back to chile in march. good luck with your teeth!